Just under two years since Apple(s aapl) introduced the original iPad, the company said Tuesday that it’s now sold a total of 55 million units. And in the last three months of 2010 alone, Apple sold 15.4 million. Not only is that a sales record for Apple, that’s far more than any other competitor. And for comparison’s sake, it’s three times as many as Macs the company sold during the same quarter, even though Mac sales also broke records. I think people really want to do multiple things with their tablets, so we don’t see limited-function tablets and e-readers as being in the same category. They’ll sell a fair number of units but people who want an iPad won’t settle for limited function. Last year was supposed to be the year of the tablet … but most people would agree it was the year of the iPad, for the second year in a row. And we’re going to continue to innovate like crazy. Data from Pew Research found that during December that both e-readers and tablet ownership nearly doubled, so clearly some people want e-readers. And sales estimates indicate Amazon, whose Kindle Fire is significantly cheaper than the iPad, may have sold around 5 million Kindle Fires between October and December 2011. There is cannibalization of the Mac by the iPad but we continue to believe there is much more cannibalization of Windows PCs by the iPad. We love that trend, we think it’s great for us. With growth among consumers, education (Apple sold 1.5 million iPads to schools last year, which was more than the number of Macs sold to schools), airlines, healthcare companies and a growing list of large enterprise companies in almost every field, Apple has very clearly covered its bases early, making it hard for competitors to beat it in any particular target market. So can anyone loosen Apple’s grip on tablets? The company’s momentum here doesn’t look like it’s about to diminish any time soon. And let’s not forget it’s very likely that a new iPad model is just around the corner. Apple is an “absolute” juggernaut. Apple is “literally” taking their competition (out behind the woodshed) and bashing their f_ckin brains in. While the numbers sound impressive, and for a single company they are, but let us not forget the big number in mobile and PC. People are used to buying Windows for their computers and when MS puts out Win8 I expect a lot of people to buy a PC/Tablet hybrid similar to the Asus Transformer. Secondly, the power smartphones are getting these days it won’t be long till we just dock our phone and use it as a PC/Desktop. What will be really cool is when a smartphone works wirelessly to a touch LCD without the need of a full OS on the touch display, thus making “tablets” nothing more than a wireless touch display. Soon all you will have is your “smartphone” and that will be your total computing device. Everything else will just be a peripheral that works wirelessly with your smartphone. Obviously you are missing the forest for the trees. 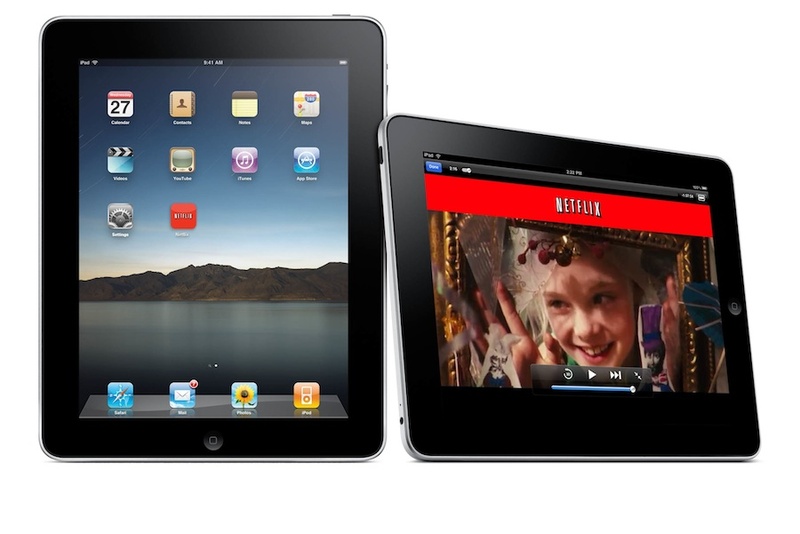 iPad sales are doubling each year. (Note: 2010 sales are missing a quarter because iPad started selling in Q2). PC sales, in the meantime, are flat or declining. Declining severely if you subtract out the still-growing-fast Mac sales from that 400 million total (yes, that 400 million includes the 20+ million Mac sales). If Apple again doubles sales in 2012, it will have sold 80 million units vs. < 400 million PCs. Easily doable. In 2013, it will be 160 million vs. < 400 million PCs. So iPad will be 40% of your vaunted PC unit numbers in 2 more years. The handwriting is on the wall. PCs have peaked and are now in decline while iPad is just getting started. But they do say the first stage of grief is denial…. Yep, and potentially the iPad2 at a reduced price. Will be interesting to see if Kindles/Nooks still sell as well if they are just a little cheaper than an iPad if Apple follows their iPhone pricing as new models get introduced. Hey diddle diddle, the cat and the fiddle, Jeff Bezos’ iPad tsunami nightmare is fast approaching!